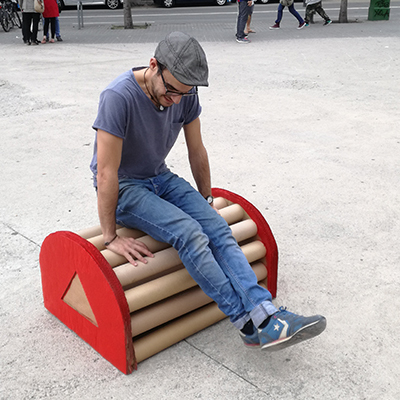 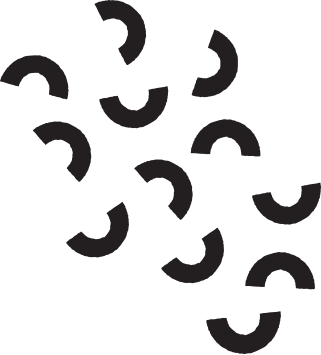 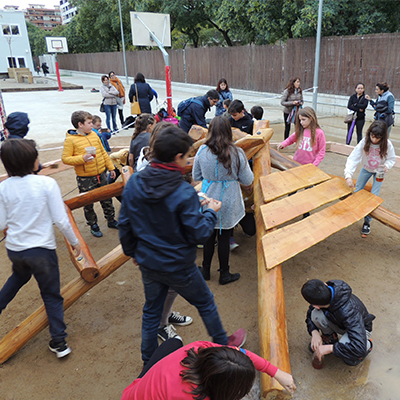 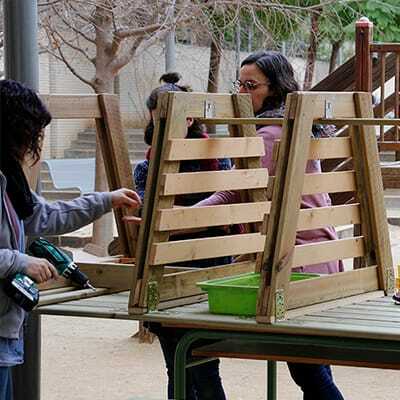 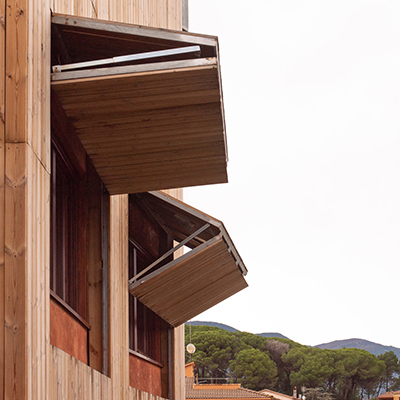 The project for designing the exterior spaces for the Vall del Gess School in Torelló starts with a study that considers the opportunities for creating continuous spaces in the center of the courtyard. 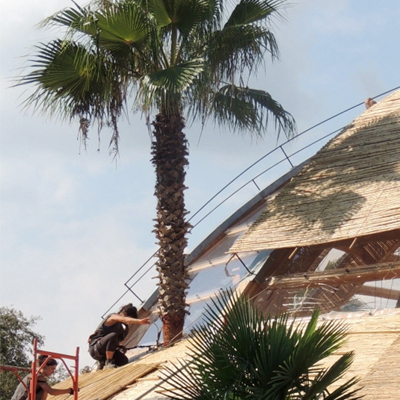 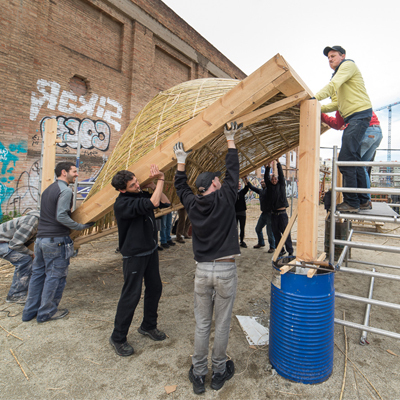 This process began with a DIY meeting in the fall of 2017 and resulted in the construction of a live wicker hut. 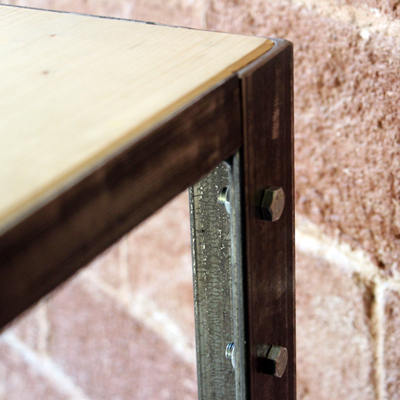 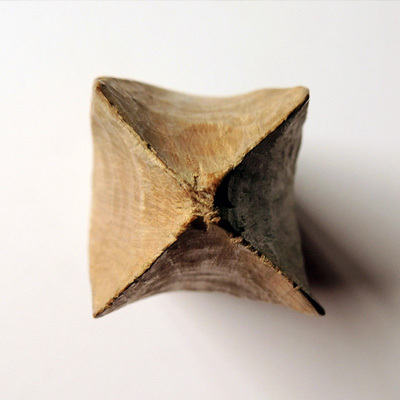 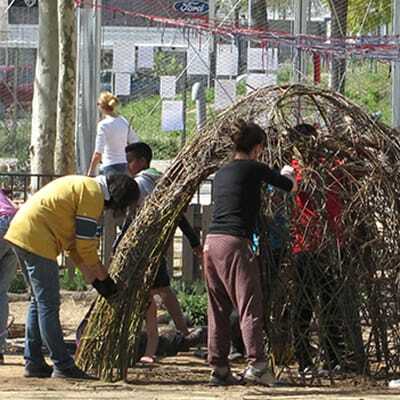 The first step of this process involved a workshop done with students in third and fourth grades, where a model of the hut was developed. 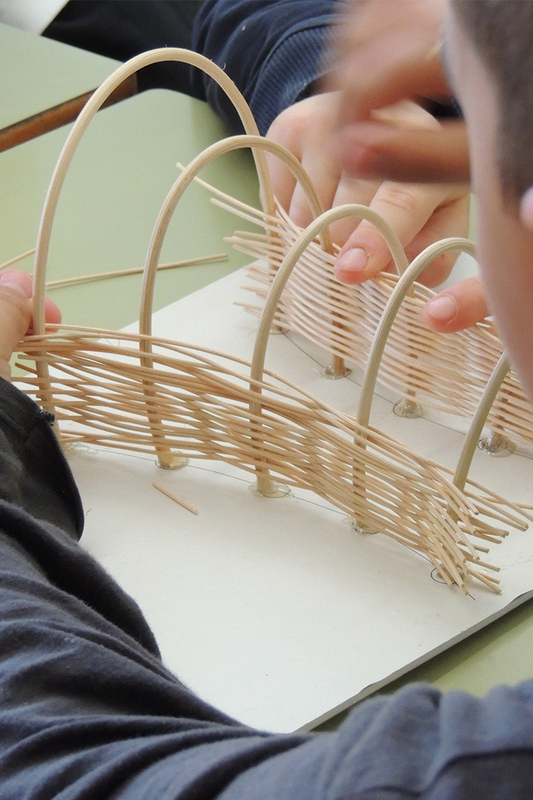 This model was done while thinking about the schools additional project of building bird houses with natural architecture designs. 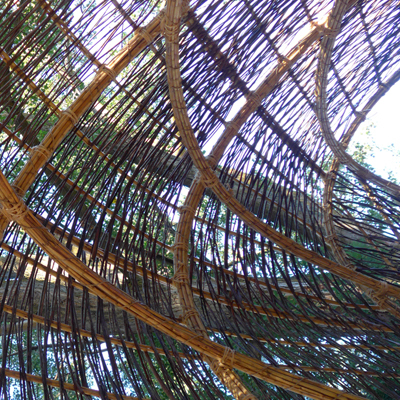 These two projects were done in parallel to one another, and the nests that students make will mirror the style and construction of the hut. 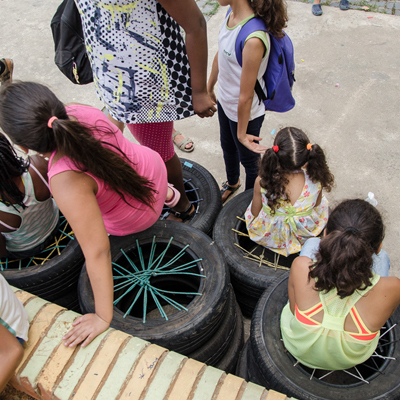 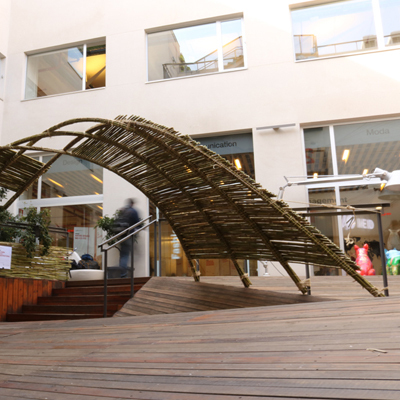 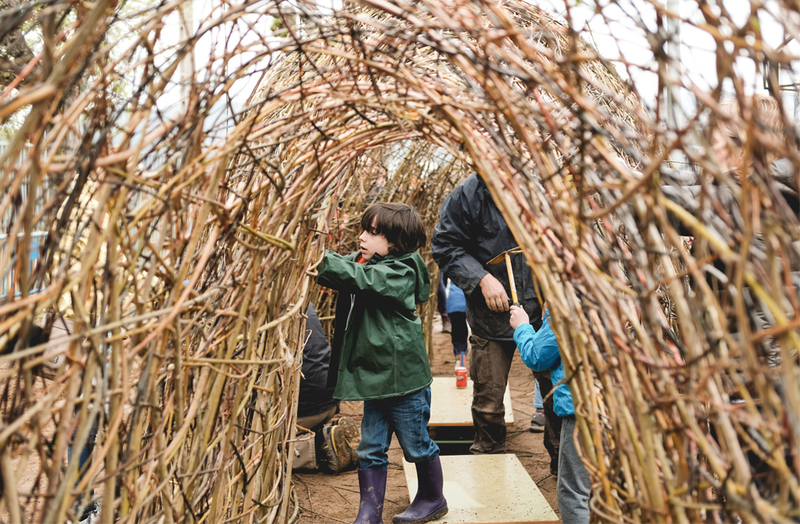 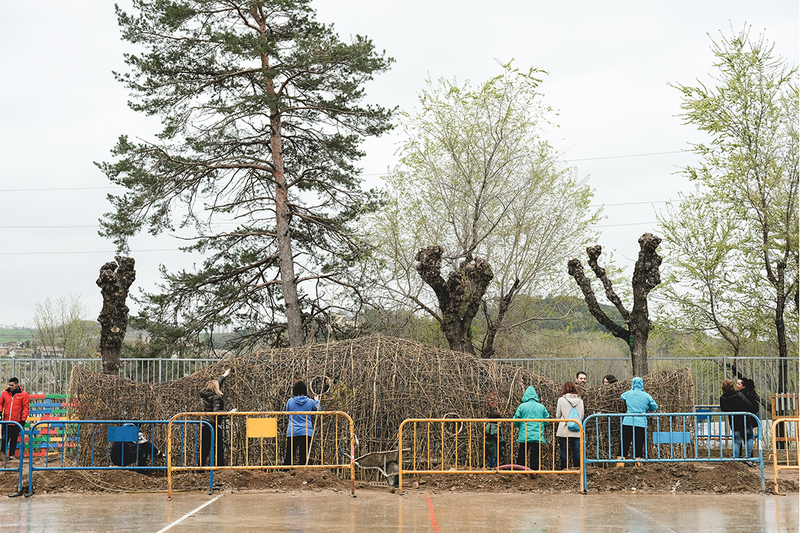 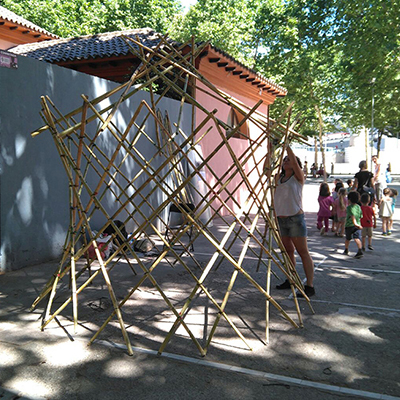 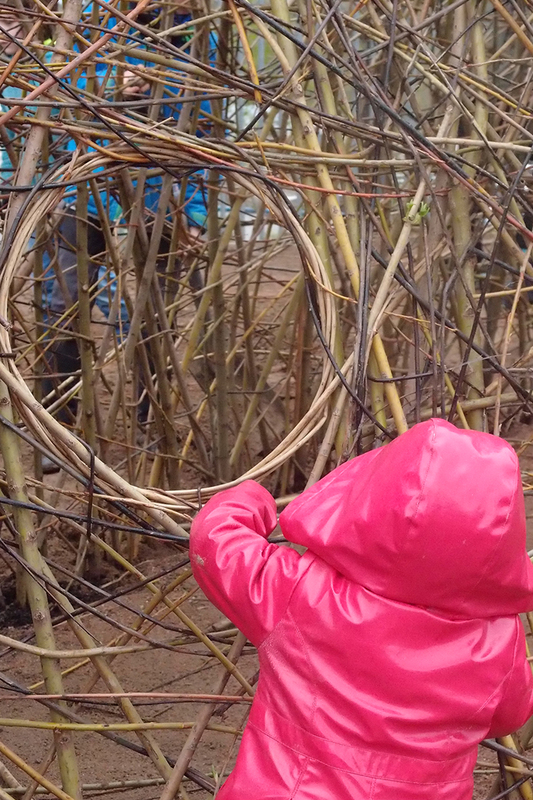 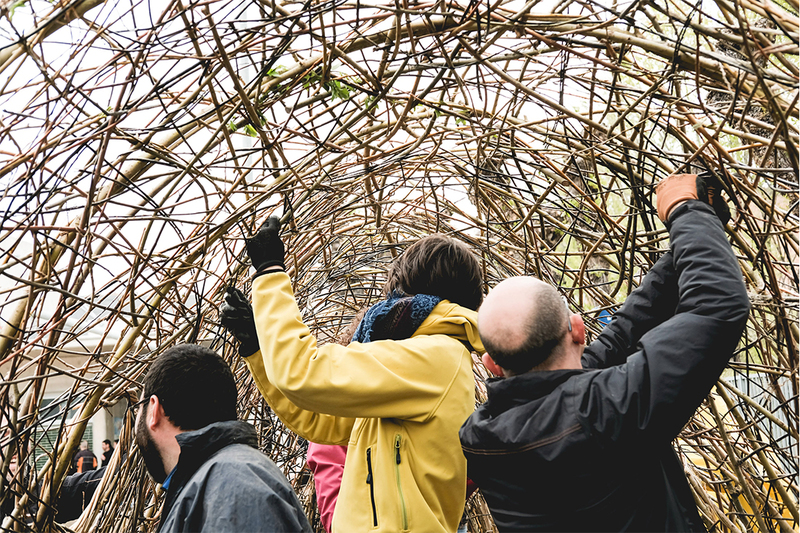 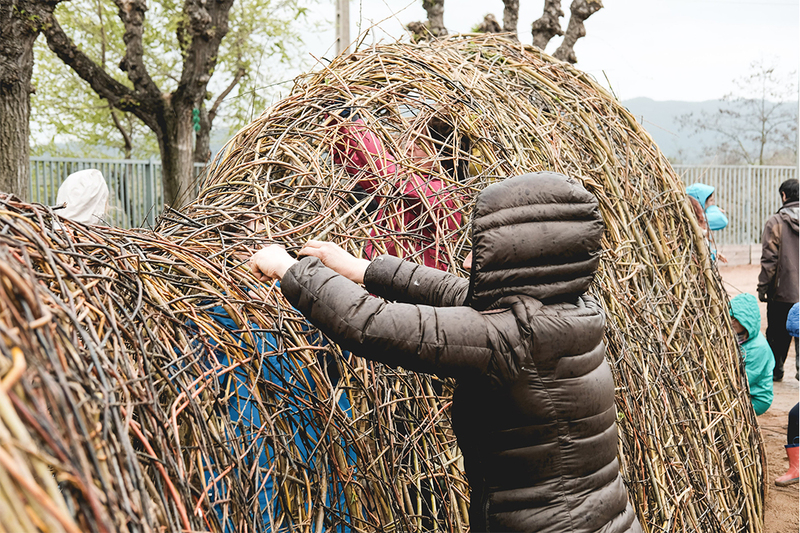 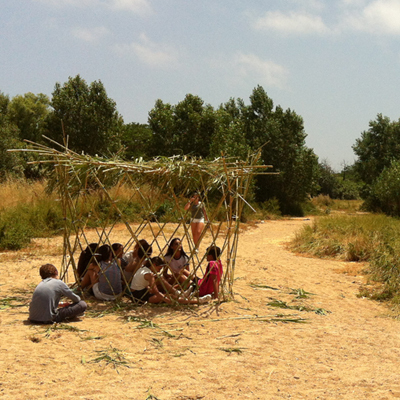 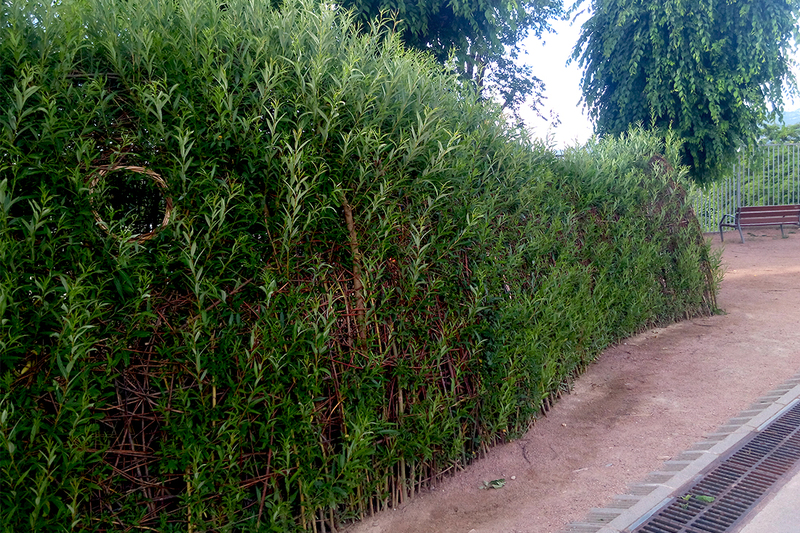 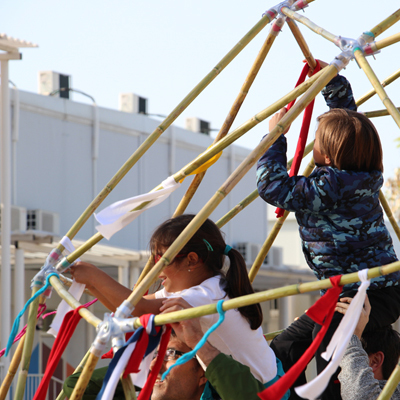 In the end, thanks to participatory design work done with children, families and the educational team involved, a wicker cabin was built with the intention of naturalizing the courtyard and providing lots of spaces where children can hide, sit, gather, and enjoy being within nature. 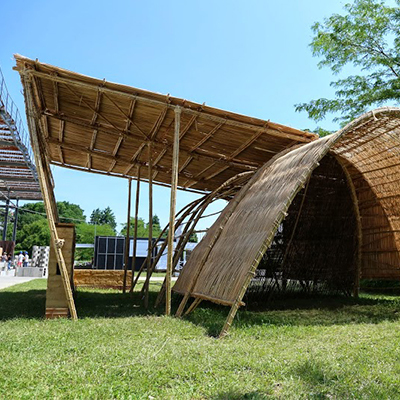 The hut is built with a deciduous material that allows the sun to shine into the structure during the winter, yet keeps the sun´s rays out during the summer. 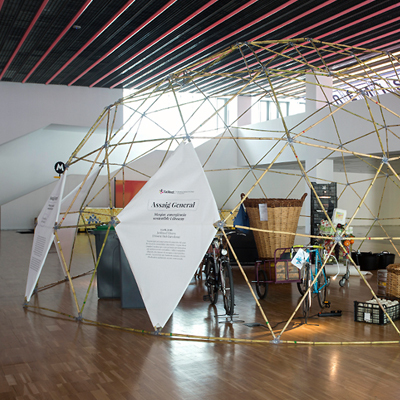 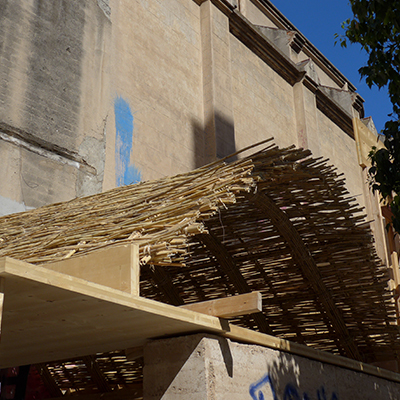 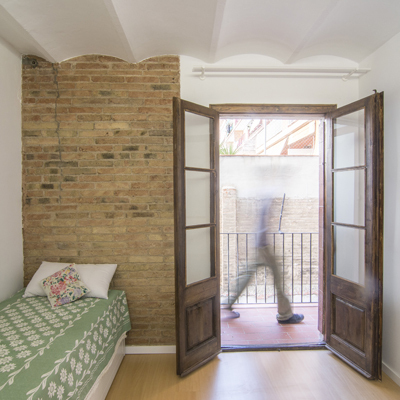 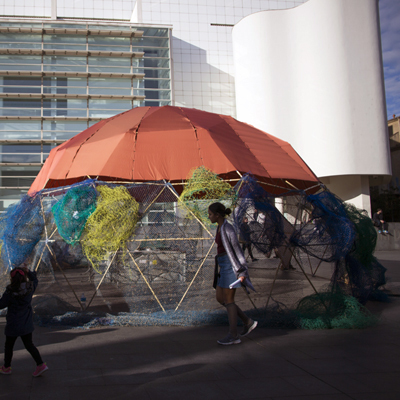 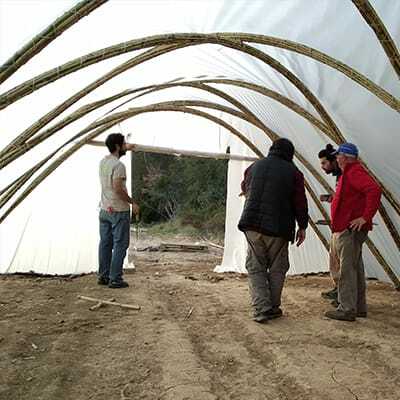 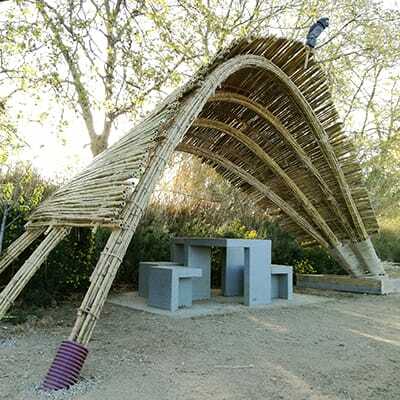 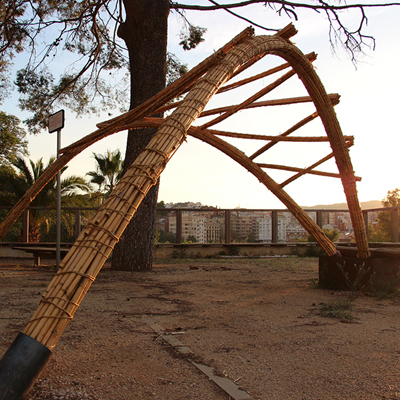 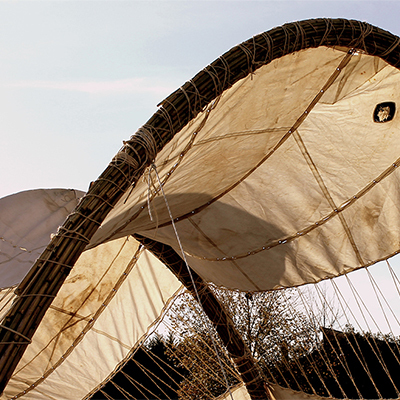 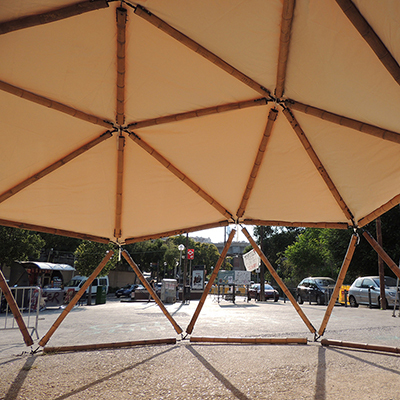 This project was realized in collaboration with the basket weaver Aleix Grifoll, who provided material and coordinated the construction of the hut.